Neck and shoulder pain is by far the most common of all the combination dorsalgia syndromes affecting the cervical region. The anatomy of the neck and the shoulder work very closely with one another and it is typical that structural and even nonstructural causative processes which affect the neck will also affect one or both shoulders. While neck pain can be bilateral, neck and shoulder symptoms are almost always reported unilaterally. 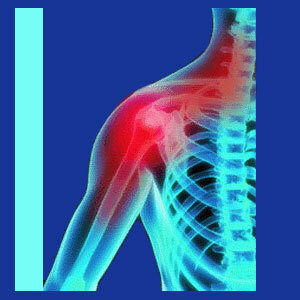 Usually, the pain will originate in the neck and seem to radiate into the shoulder scapular. The majority of patients report increased pain upon turning the head or exerting any force with the affected arm. Some patients suffer pain which travels into the arm itself and sometimes even into the hand. This essay explores combination neck and shoulder symptoms. Herniated discs can cause central stenosis which may affect the neck and shoulders, unilaterally or bilaterally. A cervical bulging disc might also impinge on a spinal nerve root, which will directly link the shoulder pain to the spinal source, typically at C4 or C5. Neck muscle pain will almost surely influence the surrounding upper thoracic musculature, as well. When one set of muscles is injured or tense, the other will generally suffer related symptoms. Chronic soft tissue concerns, like fibromyalgia can affect large areas of the anatomy seemingly illogically. Arthritis neck pain can also affect the spinal nerve roots in much the same way as a herniated disc can. Cervical foraminal stenosis can occur due to normal or advanced arthritic activity and may lead to shoulder pain if a nerve is compressed. Thoracic outlet syndrome can enact lower neck and upper back concerns unilaterally or bilaterally. The causes might include muscular compression of nerves or circulatory structures, such as the subclavian vein or artery. 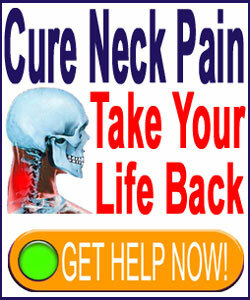 Neck pain is a real misery. It will prevent a tremendous number of physical actions, since it can cause so much acute pain upon movement. Activity avoidance will generally lead most patients with chronic symptoms to develop a decreased range of effective motion in the cervical spine over time. Meanwhile, the very same things can be said for shoulder pain. Activity avoidance is commonplace and can actually lead to shrinkage of the shoulder capsule and tendons, often diagnosed as impingement syndrome. When symptoms affect both regions, the patient is exponentially limited in using the neck or arm on the painful side and might endure an accelerated loss of overall functionality in both locations. This is why accurate diagnosis is so crucial, so that effective treatment can be rendered. Once the underlying causative condition can be found and corrected, then physical therapy is a great way to rehabilitate both regions and regain lost range of motion and strength. As I write this, I am having yet another in a series of ongoing neck pain flare-ups which also affects my shoulder scapulas. I originally suffered this injury in early 2011, slipping while carrying a heavy box. While I did not fall, the whiplash of lunging forward immediately hurt my neck on the left with a trail of sharp pain and heat radiating into the upper back and finding a home in the left scapula. After about 2 months of suffering, the pain stayed in the left neck, but moved to the right shoulder. Fast forward to late 2011 and I suffered the same injurious event while swimming. Once again, the pain was located for a few weeks on the left, followed by a symptomatic move to the right. The location of the upper back/scapular pain does not correlate to the worst disc issues I have, so I really do not see a positive spinal connection between the two. I do have 4 disc herniations in the upper thoracic spine, as well, but these were never that bad structurally. Who knows how time has affected them. Maybe it is time for a new MRI soon. However, a muscular connection is certainly a possible source, as is any number of nonstructural causative processes, including mindbody ischemia, which may cause both tender areas.